Situated very close to the well-known Saraswathi Park, Saaket Residency is a great choice for all kinds of travellers. The property is cozy, clean and very well maintained. 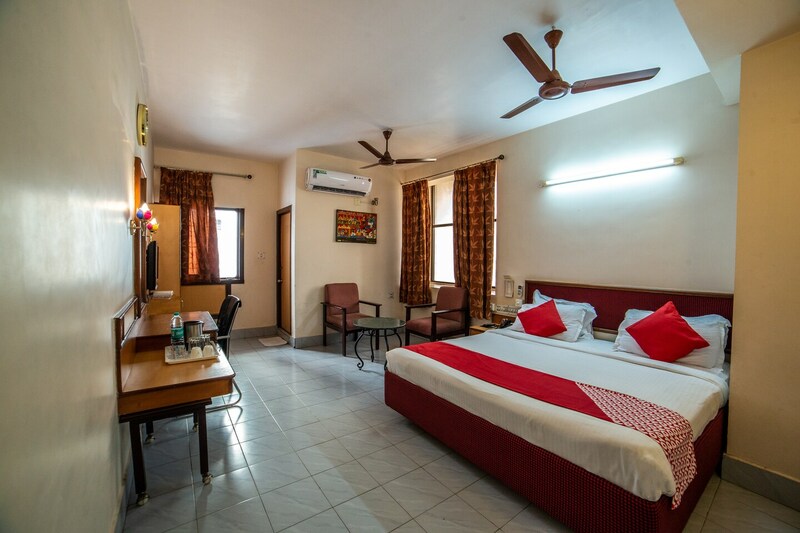 The rooms are spacious, well designed and well furnished with modern amenities like TV and AC. Guests can avail laundry services too. The modern bathrooms are hygienic and fitted with geysers. Saket Residency also has an in-house restaurant with a cozy ambiance and wall paintings around the dining area. Other advantages include power backup, parking area, elevator and CCTV cameras. Eateries like KFC, Horizon Multicuisine Restaurant and Shree Shyam Restaurant are close by.